Aside for some minor adjusting of suspension and the shift lever I got my first mod finished. 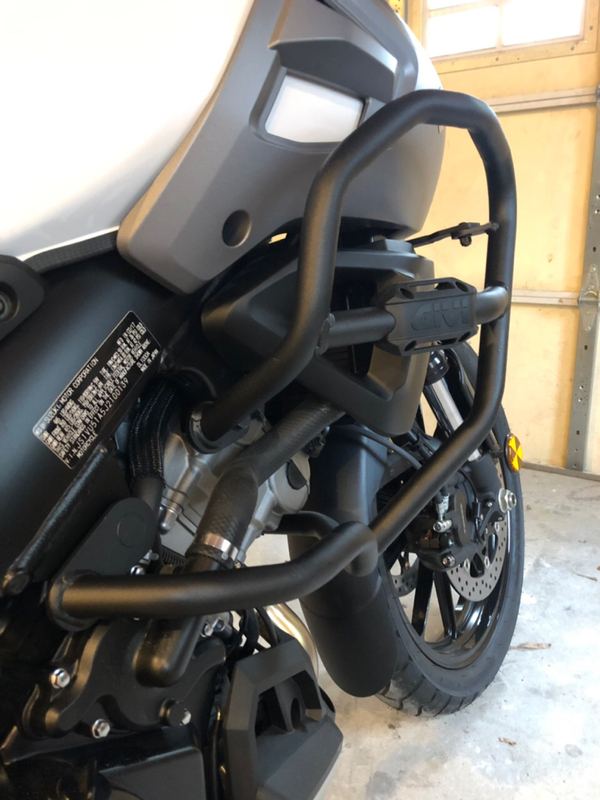 Installed a set of Givi crash bars this morning. Terribly simple process other than getting my chubby hands under the fairing to mourn the forward brackets to the radiator mount. Awesome! Now try them out and let us know how they work! Big B, notacop and tenny80 like this. Yah, do something spectacular and send us pictures! Crash bars are for crashing! SW Motech makes this cool little guard for the R. brake reservoir. And they make one even cooler for the exhaust valve gizmo down there too. You bike wants these. It really does. According to the VIN's, mine rolled down the line 698 bikes after yours. Last edited by Lrobby99; 12-21-2018 at 11:09 AM. This bike is so clean, just for show??? V-Tom and bobbyvstrom like this. Already tried mine. Tires went out from under me while leaned way over. It slammed me down hard on the left side. Just about wore thru the left side bar, but I was a bit surprised to see they were bent up a good bit too. Bars were bent, mirror and hand guard broken as well as left peg mount. Without the guards, the damage would've been much greater. V-Tom and Redshirt25 like this. 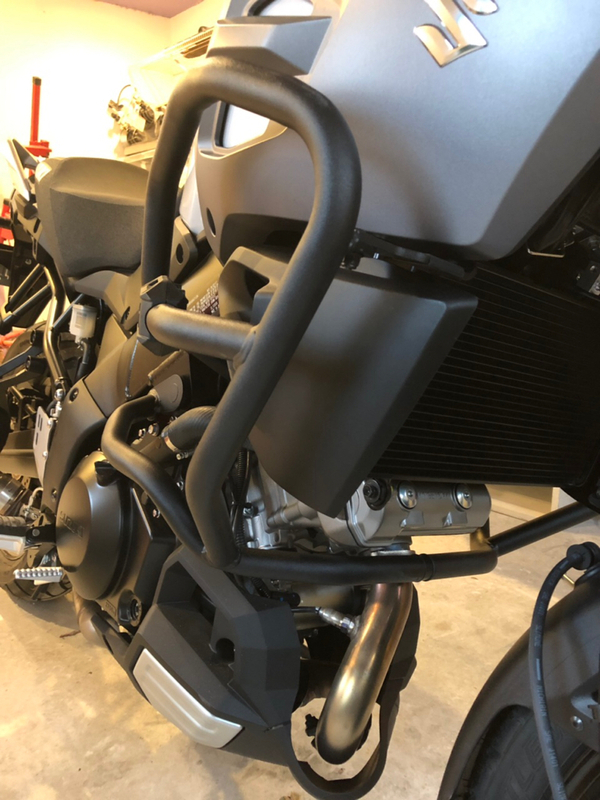 Take off those plastic Givi advertisements! hand guard broken as well as left peg mount. .
Did your peg mount snap ? I fitted Wee brackets to my V2, the Wee brackets are steel not cast like the V2. Big B, V-Tom and blaustrom like this.